Setting up Hammer for Underhell? I have been able to partially set up hammer for Underhell, but with a few side effects. 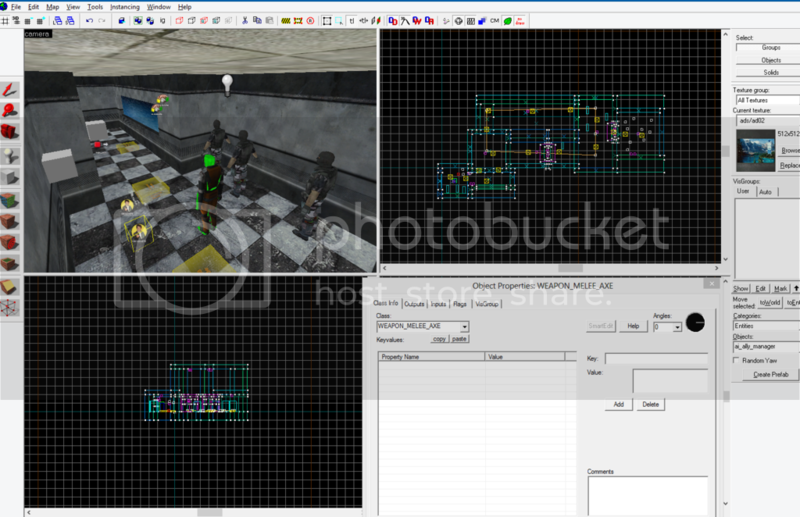 This is how I first set it up, there is no .Fdg file so i had to use hl2's. 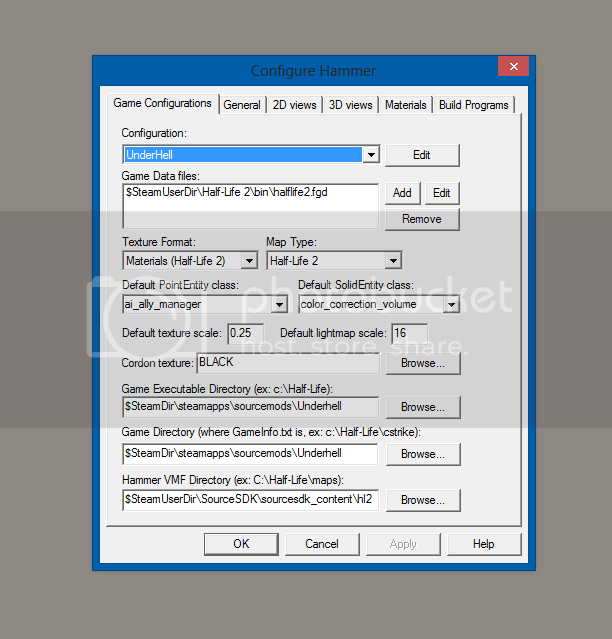 And the build programs are the same as hl2's too. However, when I started a new map the error "missing material editor wireframe" came up. The editors material files were missing, so I did this. So I was now able to create a map with hammer with and without problems. So this is a map I made yesterday. As you can see the combine_s appear as soldiers. The textures work correctly, however, any new entities such as Weapon_melee_axe will not appear in the list. choose a skin for the soda can, and properties like Uh_spotbodies does not exist. So I hope anyone has a solution to this as Underhell is one of my favorite games out there, thanks. Yes, but there is no way to do so. 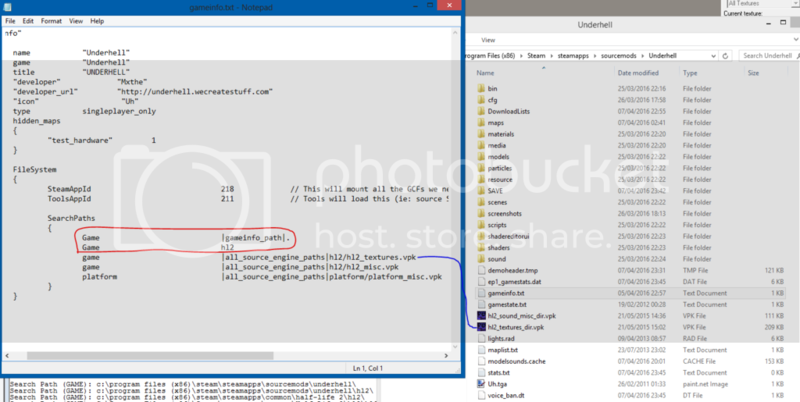 As in the 3rd image where the object properties window is, any new item for Underhell is obsolete, and can not be edited. to open the model browser, hammer crashes.